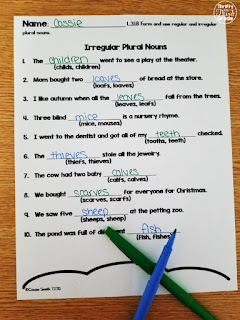 Are you looking for some activities to do with your students while learning about irregular plural nouns? This can be a tricky concept. 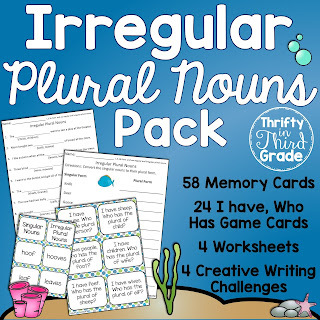 This resource offers a lot of practice. 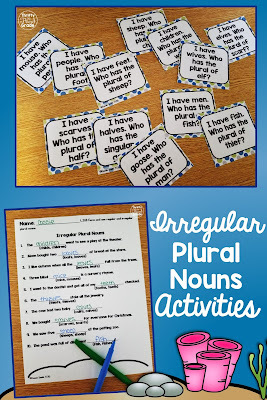 Your students will get to match singular and irregular plural nouns while playing memory. They will also get to play I Have, Who Has, as a class! This is such a fun whole group way to practice any skill. Students are always listening and engaged waiting for it to be their card! 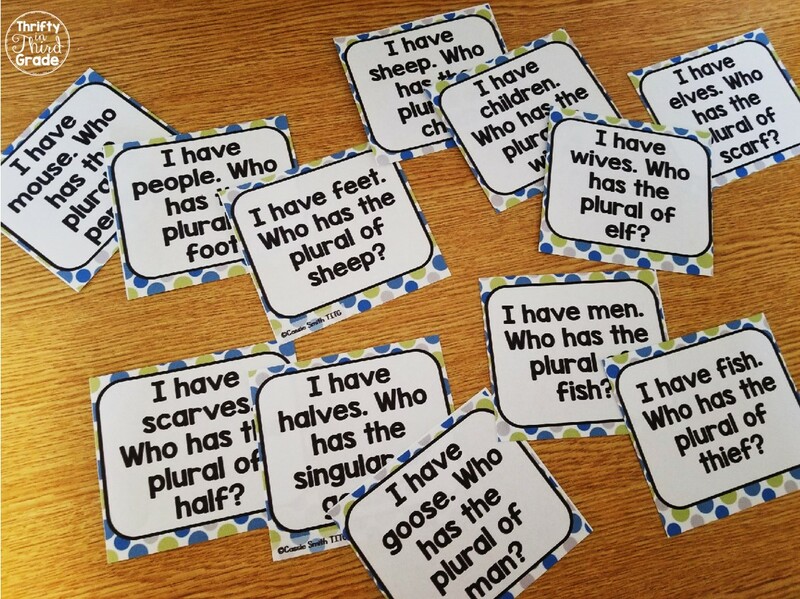 This resource also includes 4 worksheets that you can use as practice pages. It also has a final unit assessment. 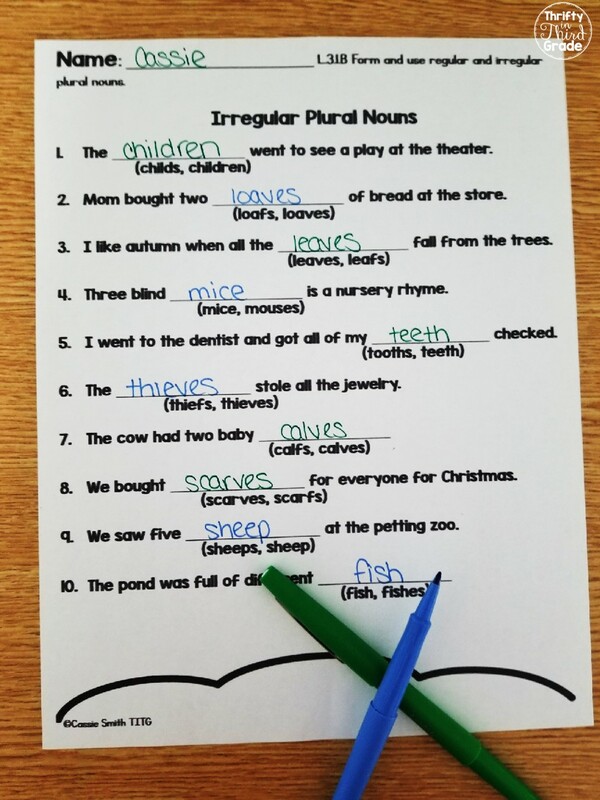 Finally, it has four creative writing challenges where students are given a list of irregular plural nouns to incorporate into a story! Take a peek at the preview below, then get it here at my TpT store! 24 I have, Who has cards? If you've never played this game with your class before, you are missing out! 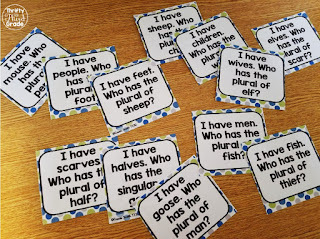 It's a fun way to keep your students engaged, plus you can shuffle the cards and play many times. I love to leave a pack of I have, Who has cards for a sub too. Get this pack of fun activities here!